This is pretty cool. 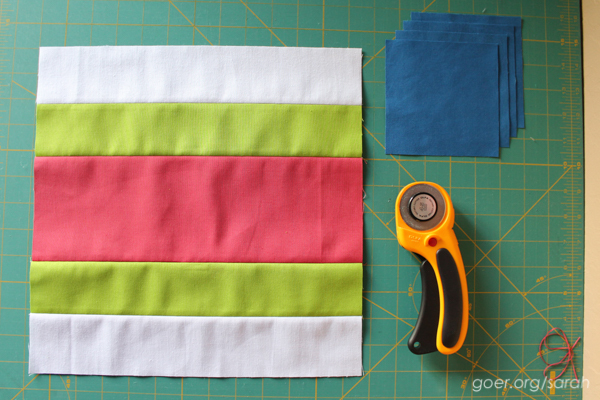 I like the idea to double stitch the corner to create bonus pieces for another project! Thank you, Yvonne. The alternating layout is my favorite, too. Brilliant idea about creating your HST as you go! I also love that it actually does look like a slice of watermelon on your plate! This is a very nice bold block Sarah I can see it in a quilt with one or two vertical rows of blocks surrounded by lapis blue. Oh, that sounds fun! Thanks for visiting, Lisa. Love this, Sarah! The possibilities for variation really make this block exciting! Thank you, Kim. I keep thinking of other variations that would be possible. That's such a fun block! It would make a really interesting secondary design when set on-point too! Oh! Thanks for the idea. I didn't even think about setting on point. I'll have to play with that layout as well. Thanks for visiting, Leanne. Great block. I like the interest of the second layout. So do I! Thanks for visiting, Cindy. 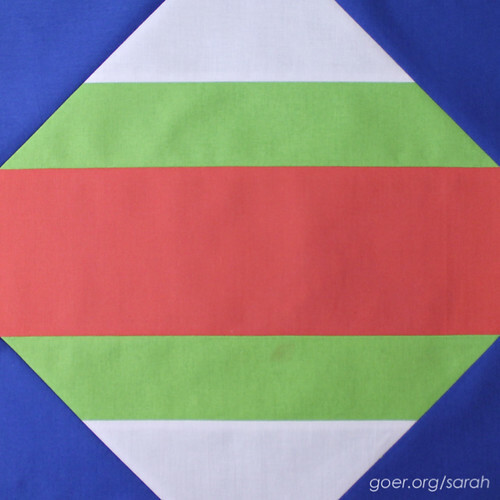 Sarah, I love how a simple block can look awesome in combination with many more of the same block. 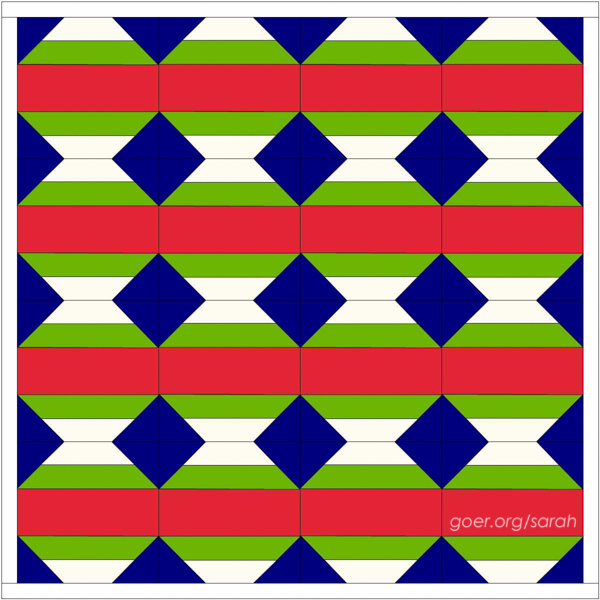 The alternating vertical and horizonal placement looks so cool, and I could see me making a quilt with this design. Did you use EQ7 to create Option 1 and 2? 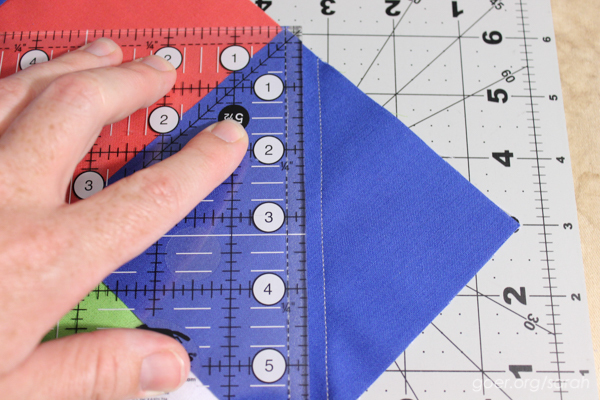 I've only seen it online and have thought I might want to purchase it to experiment with quilt design down the road. Take care, Mary. Thank you, Mary. I did use EQ7 to make the layout designs. I haven't used EQ7 very much. I don't find it very intuitive and haven't spent enough time to learn it. (I need to find some time to watch EQ7 tutorial videos.) I'm encouraged by the fact that people who love it, love it. Perfect name for this block! What a fun design too! Bonus HST's are always a plus! Great tutorial Sarah! Very nice! I love the name of the block. Seeing the chartreuse with the coral in the middle makes me think of a slice of watermelon..yum. Great job on your tutorial. I just love the second layout. 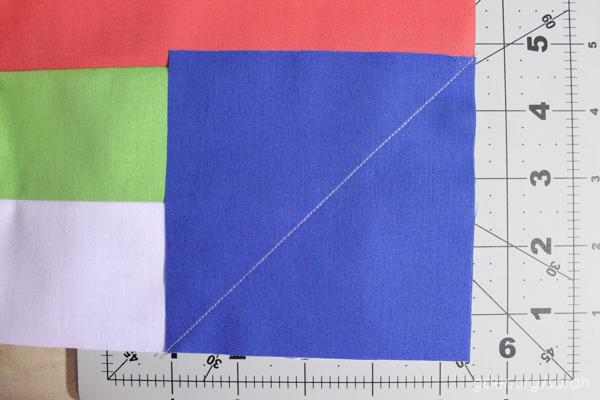 Sometimes it's the simple blocks that have the most impact when laid out in a quilt. Great job. My initial sketch had the alternating layout. That's what kept drawing me back to this design. Thanks for visiting, Diana. This is such an adorable block- it is so charming and summer-y! I particularly like the tumbling effect that you achieve in the second layout. Nice tutorial, perfect name! 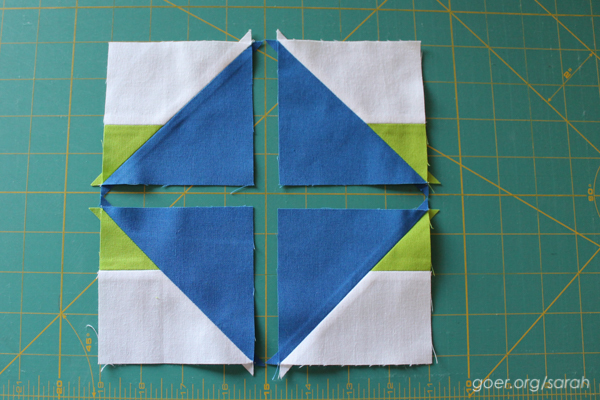 It would be fun to combine your block with some other blocks on the blog hop to see what secondary designs they would create. Oh, that's an interesting idea. I'll have to keep that in mind while I'm surfing around to the other tutorials. There's so much good stuff, but I've only had a chance to do a quick pass through day 1 so far. Sarah... this is such a great modern, watermelon block. I love the layout suggestions you provided. 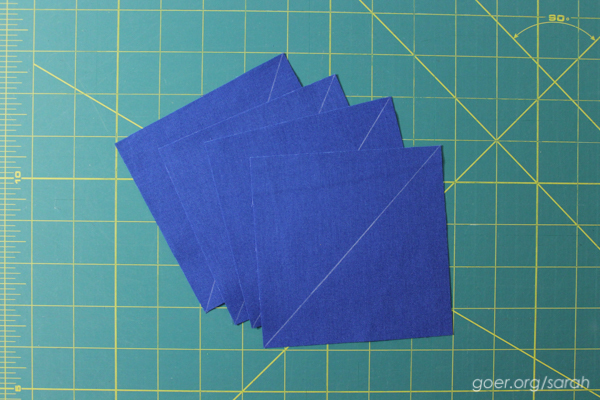 I've been using that trick for extra half square triangles, it's a great way to have future options and not waste fabric. I have quite a few HSTs in my misc. blocks and bits bin. 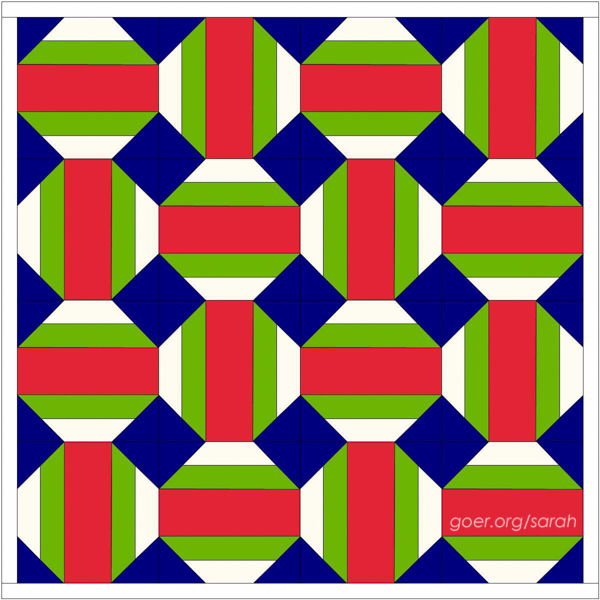 :-) I think a big pile of these HSTs would be fun to play around with since they have a more interesting graphic design than a regular HST. Thanks for visiting, Stephanie. Those make a very interesting group of possibilities! Great block! I love the name too! 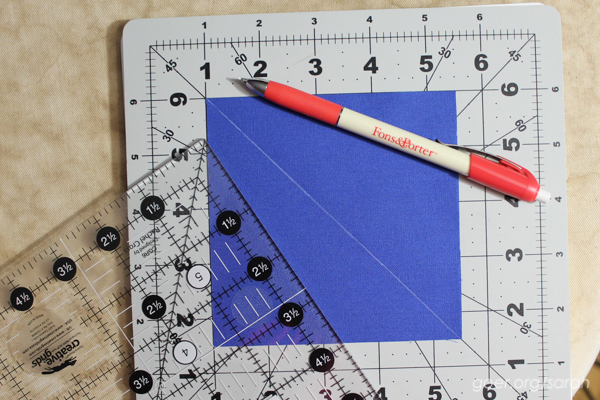 Either layout would looked awesome with lots of FMQ. Great work and tutorial! Thank you, Silvia. 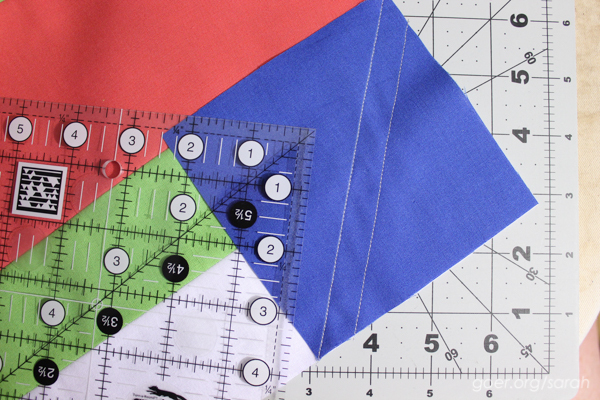 I don't use a lot of solids, but I'm really tempted so I can just go nuts with some free motion quilting. Love your block and the tutorial. I like both quilt layouts. Thanks, Margo. I want to play with some other color ways and perhaps mixing two different blocks within one project. 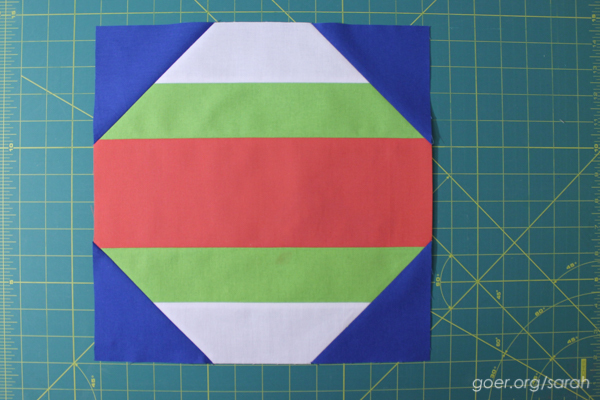 Nice tip on the extra HSTs! I love the 2nd option for the quilt layout...it has lots of movement. That one is my favorite, too. Thank you for visiting! Very nice! A great take on a classic block and your tutorial is very well written and clear. You are so clever. The watermelon bundle is perfect for your block. I could eat it right off the plate. Very nice. This will work well with both solids and prints. I like the idea of showcasing prints in the large middle sections. The additional half-square triangles are a bonus! Thank you, Dena. 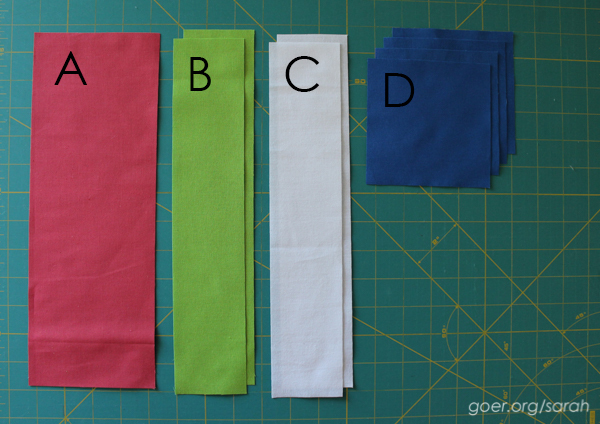 Now my trouble is to decide what fabrics to use to make a whole quilt of them! An awesome block. Great job! Great block Sarah! This would be fun to play with prints with too, especially in that middle band. Thanks for sharing! Thank you, Karen. It's totally doable for a beginner. Option 2 is my favorite, too. I'm thinking about designing a companion block to be able to create more layout options. :-) Thanks for visiting! Nice block Sarah. Thank you very much for the great tutorial. Thank you and you are welcome! I hope to have more tutorials and patterns ready soon.